Have you ever found yourself stuck in a rut? Does it sometimes feel like you simply don't know where you want your life to go and you're unsure of your personal and professional future. If you've ever felt lost on your journey to discovering who you are, you are not alone. If you've resonated with any of the above, you are among thousands, if not millions, of others who wonder this also – myself included. I was wondering all of these things that led me to teaching abroad programs, which ultimately became an experience that shaped and changed my life. I'd always dreamed of travelling. I was fortunate enough to travel with my parents when I was young, but only to resorts and never for long periods. Still, these experiences were enough to ignite a feeling of wanderlust. Although, I longed to travel, I never had the financial resources to do so. I also had trouble with the nonchalant pack-up-and-leave travel ideal; I need stability - a place to live, a job, a plan. This is what first appealed me by teaching abroad programs. It offered me the rare opportunity to achieve both – the ability to travel to places I had only ever dreamed about while also providing an exciting new job and financial security. While travelling is what enticed me, my work abroad is what really changed my life. I'd always wanted to do something meaningful whether it was volunteering, teaching or charity work, but I was never able to create a schedule that harmoniously combined with my work hours. Interacting with the children and even the families that I met teaching abroad are some of my most cherished memories. The work was fulfilling in a way that I don't think my regular nine-to-five ever could be. 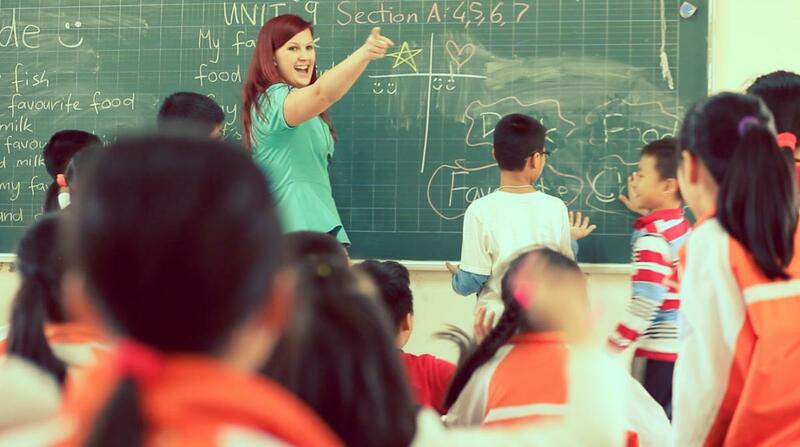 I know that teaching abroad programs may not be right for every person and that's ok. It's important to know who you are and what you want, but for those people who feel unsure, who feel lost, who want to travel and provide meaningful work, I strongly suggest looking into teaching abroad programs. It changed my life and I truly believe it could do the same for you. Although I was the one doing the educating, it was my students, new friends and temporary home that really ended up teaching me.